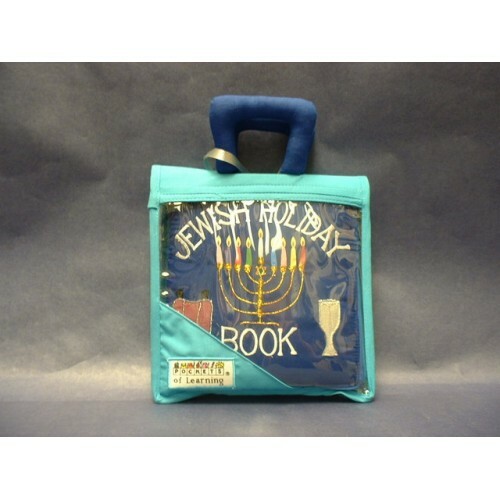 This soft, interactive book is a fun way to introduce children to the Jewish Holidays and their meanings. Includes a printed Parents' Guide. Recommended Ages: 2 years & up. Comes in a vinyl case, which can be personalized for an additional $6.00. Note: If you lose a piece to your Pockets of Learning product, call 1-800-635-2994 and it will be replaced for free.